Technology is changing the world. And IRH recognizes the unprecedented opportunity to leverage technology to improve reproductive health outcomes. That’s why we celebrate innovation—especially when it comes to increased availability, access and affordability of products and information in new and scalable ways. Building on the success of the Standard Days Method®: What is DOT? 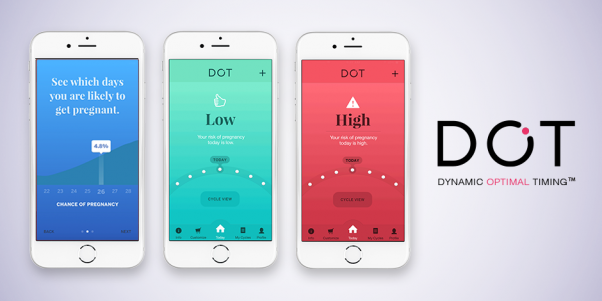 Dot™ is a period-tracking app that can be used for pregnancy prevention and planning based on the patent-pending Dynamic Optimal Timing™ (DOT) approach. Building on the success of the Standard Days Method® of family planning, this new method accurately determines a woman’s risk of pregnancy for each day of her cycle using her period start dates. However, it takes a different statistical approach than the Standard Days Method, identifying fertile days based on a woman’s individual cycle lengths, and allowing women with a wider range of cycle lengths to use it. With a team of reproductive health experts, statisticians and data engineers, including the Institute for Reproductive Health at Georgetown University as an advisor, the DOT methodology was developed over the past 18 months by Cycle Technologies. DOT is grounded in evidence-based research, and used large-scale data sets from the World Health Organizations cross-referenced with cycle information from women in the U.S.
A peer-reviewed article detailing the rigorous research with which DOT was developed is coming soon. It promises to be a highly effective approach for women who want to avoid pregnancy. In the meantime, we’ll learn more about how women use Dot the app, and we’re making plans to further test its effectiveness under a variety of circumstances. 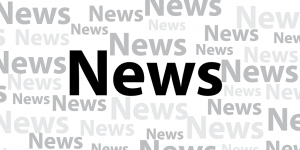 Stay tuned for more on this soon, and watch for Dot the app for Android phones. Check out Dot the app for yourself! It’s available now on iTunes for free download, and will be available for Android users later this year. You can learn more about the method and iPhone app at DotTheApp.com. VIDEO | CycleBeads: Why isn’t everyone doing this? We recently celebrated the more than three million women and couples around the world who have used CycleBeads®. Expanding family planning choices, advancing gender equality, and involving communities.